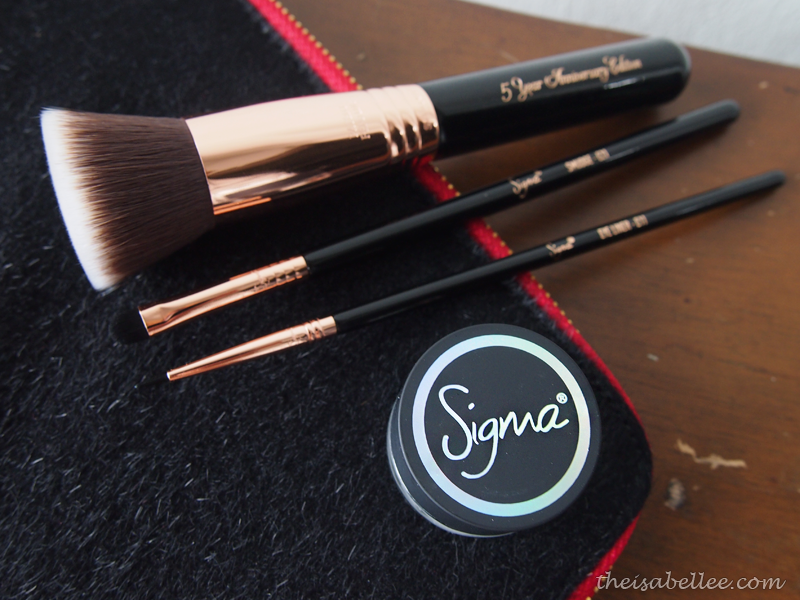 Sigma has released these amazingly beautiful copper range of brushes for their 5th year anniversary. I got these from Luxola along with the gel liner. 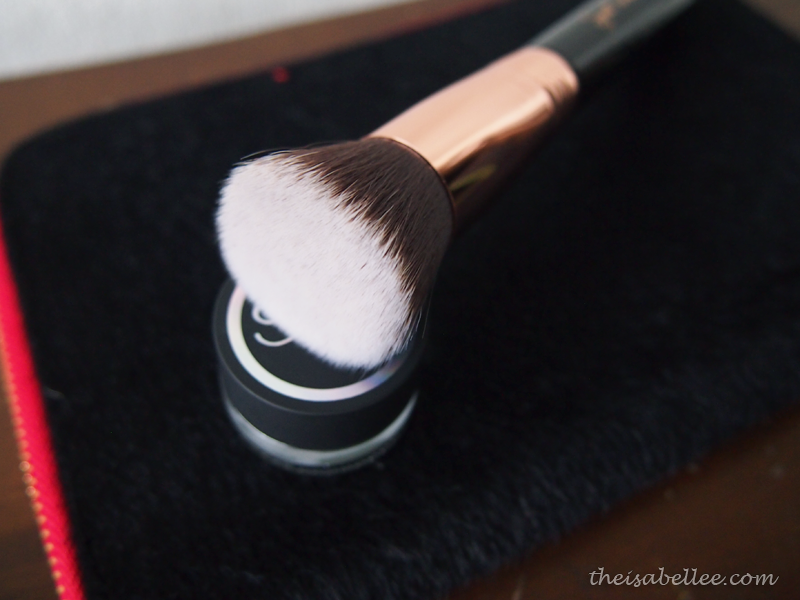 This brush is a copper version of their number 1 seller. The flat, dense top is perfect to buff liquid products evenly and efficiently. I don't use liquid foundation though.. So I use it for my cream blusher. 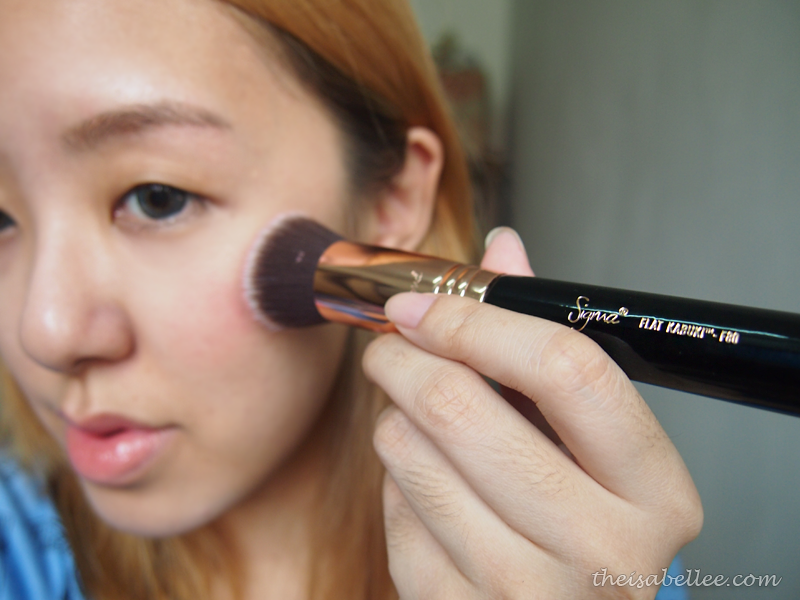 Gently buff the colour on~ The bristles ensure you get an even application and the job gets done in no time. If you have dry skin, it's better to buff instead of drag (with fingers or sponge) to avoid dry patches or cakey foundation. 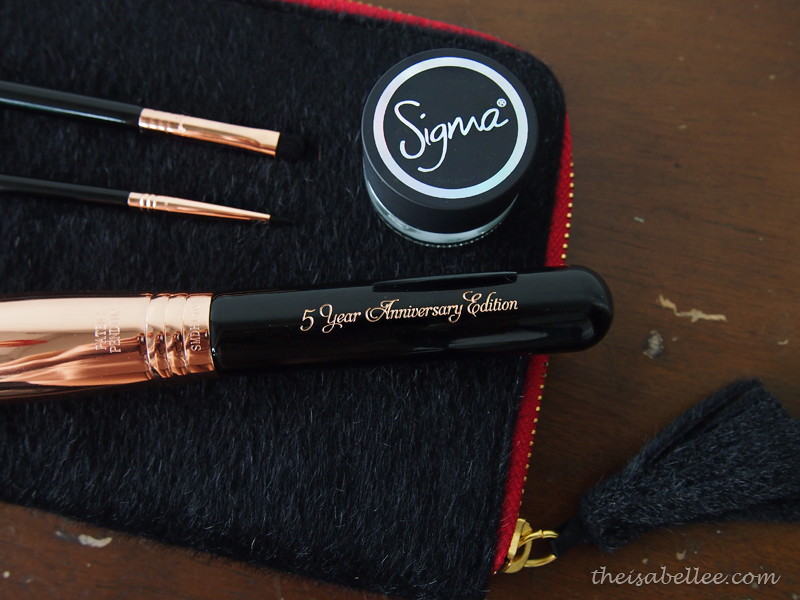 Not the kind of eyeliner brush I would normally use but I gotta admit it's surprisingly good! It's gives perfect control with enough flexibility to get the wing right. I've tried cheaper alternatives but they do not work the same. 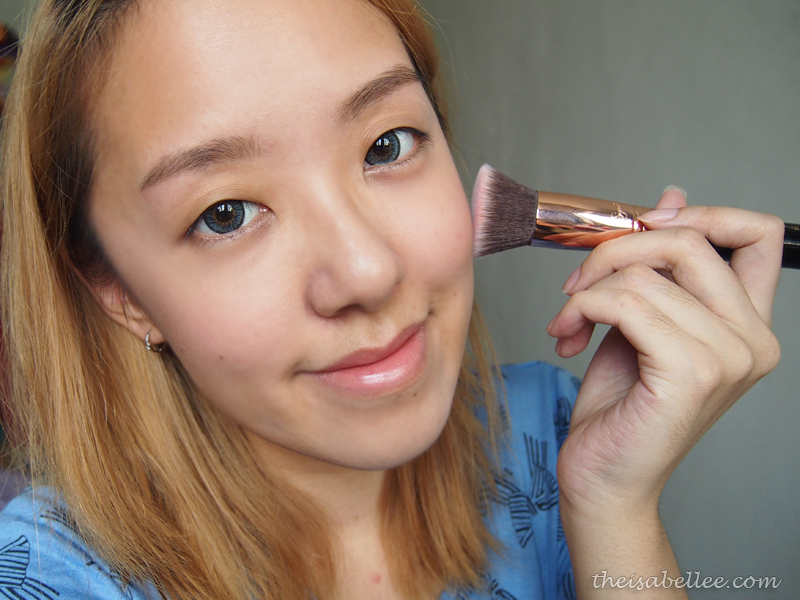 The Sigma brush doesn't shed or stab my eyelid. Bored of the conventional black and brown? Ta-da! 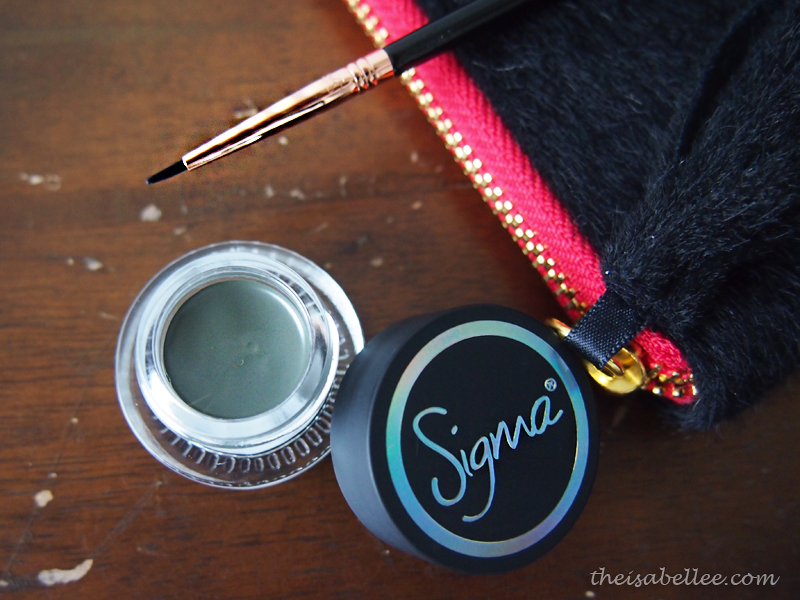 Sigma presents to you a colour that is rather rare for eyeliners - matte grey. 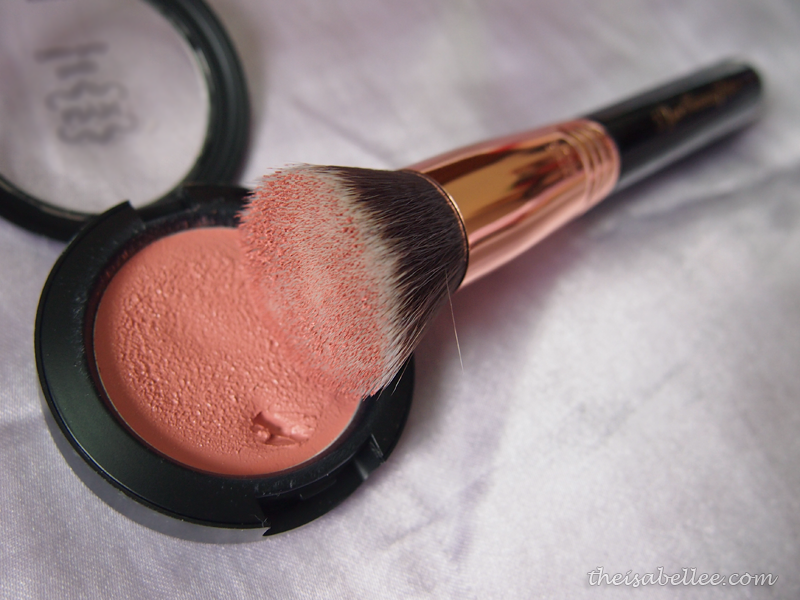 The unique colour makes you stand out and the formula is absolutely smudge-proof. Didn't budge even when I rubbed my eyes. Also available in purple, teal, brown and black. 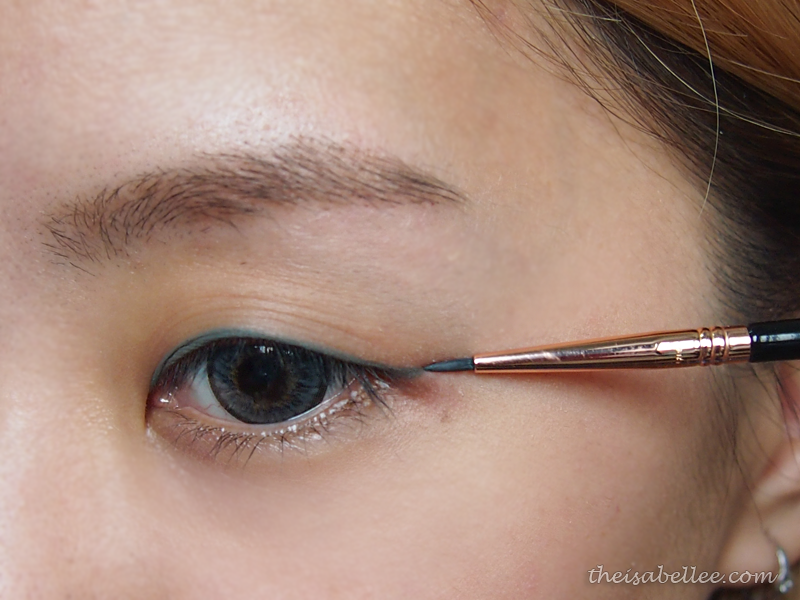 Grey eyemake doesn't have to be boring! Pop some colour on your lower lash line to give it a pop. 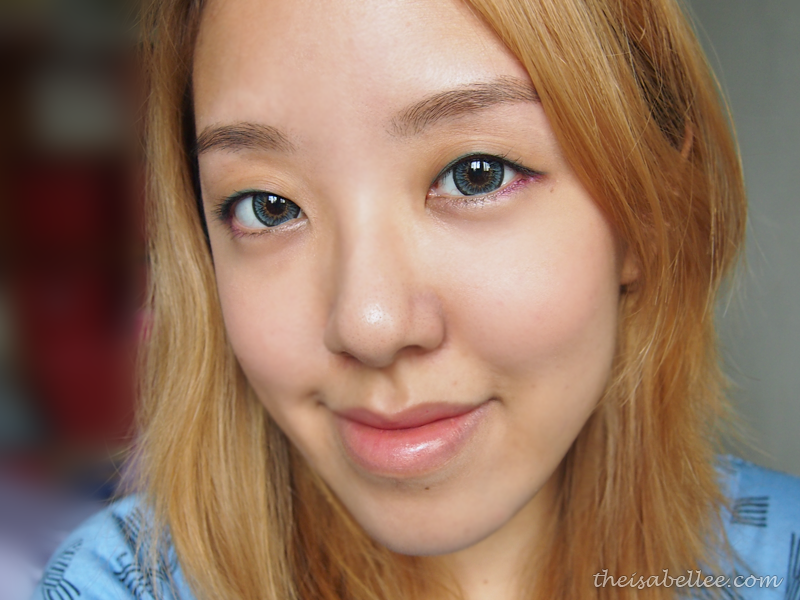 If you have panda eyes and eye bags like me, you have to be really careful about makeup beneath your eyes. 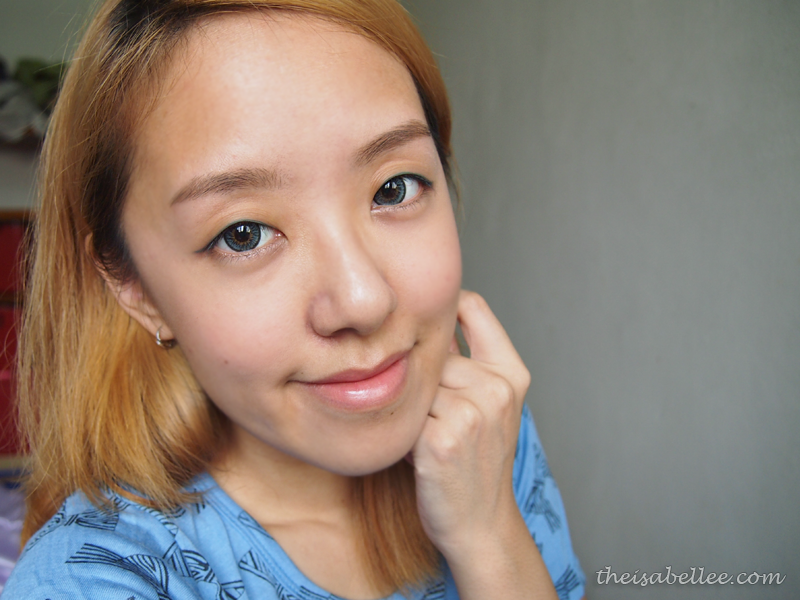 If you apply too far down, it will actually enhance your eye bags D= The E21 is perfect to smudge a tiny bit of colour on my lower lash line. Grey eyeliner is not too bad.. I might get the other colours too! I like the formula and how it stays on my lids. Get 20% off your first purchase by using this discount code! I didn't think grey would be good =O surprise!